Weekly shows focus on business solutions, strategies and ideas from your hosts Steve Smith & Will Robertson, professional business coaches. 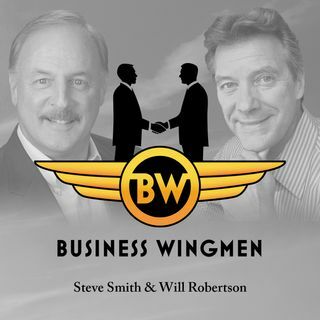 Business Wingmen is the product of two very successful and energetic guys who decided that coaching business owners and excutives was great, but not enough to reach the thousands of professionals who could benefit from their knowledge and experience. So, Steve Smith and Will Robertson created a podcast show for business professionals ... See More who were looking for great insights about business and professional development techniques.